Bali is one of the most sought after travel destination among over 13,000 islands in Indonesian archipelago. 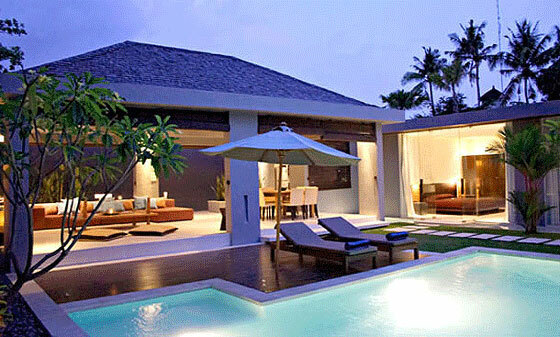 Bali is located just over 2 kilometres from the eastern tip of the island of Java and west of the island of Lombok. Bali deserves the adjective �Island of Gods� offering visually pleasing atmosphere with varied landscape of hills and mountains, rugged coastlines and sandy beaches, lush rice terraces and barren volcanic hillsides. With warm, humid and tropical, remaining around 30C to 35C all year round Bali serves the tourists a perfect beach vacation climate. You can experience plenty of rainfall throughout the year. The Balinese winter is cloudier, more humid and with chances of thunderstorms. The tourist season in Bali can be defined in July-August and again around Christmas and New Year's. In early April, late June and late September Bali serves Australian tourists a lot, while Indonesians visit during national holidays.